Sam “Whiteout” White is what happens when you bring a Caucasian to the cookout and they forget that they are a guest at your house. This week, the self-proclaimed white “ally” has faced backlash on social media for announcing that he got published in an academic journal discussing wokeness, Black Panther, Drake, Shonda Rhimes, and a lot of other Black topics he shouldn’t be giving an expert opinion on. 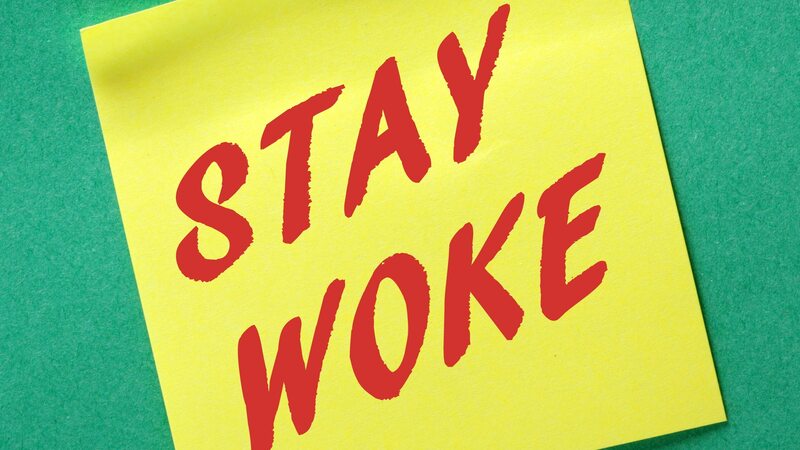 The article was oddly titled “Popularizing Wokeness,”and published in the prestigious Harvard Kennedy School Journal of African American Public Policy. The five-page article was essentially the china teapot calling the glass of milk white. Oh no, you don’t say. According to White’s Twitter posts, Aaron Francis, a Black Harvard student and writer for the publication, invited him to contribute his lackluster piece to their issue. Why would Black scholars at Harvard let a white boy attempt to explain wokeness to their intellectual tribe? Here’s a quick bet: White rose to prominence through his proximity to Blackness as a member of the Black fraternity Kappa Alpha Psi. The concept of being the white guy with swag is nothing new. That position was once held by Bill Clinton, Robin Thicke, Justin Timberlake and countless others who had a little more rhythm and groove than the rest of their white counterparts. I witnessed the same phenomenon happening right before my very eyes on my college campus — Black frat guys were using White’s popularity as a main attraction to promote their parties and mixers. It was almost like a spectacle to see that “fly white guy” shimmy in front of a crowd of people impressed that he could emulate their Black magic right in front of them. As conversations about white privilege began to erupt, White decided to take his instant stardom to the next level by transforming into an online social media activist. He pretty much used his basic understanding of racism to say the same things Black folks say about racism every day — but because he was white, he got more traction and airplay. Soon enough, famous Kappas began to cosign his mediocrity and made him an even larger presence. Former CNN commentator Marc Lamont Hill, his fraternity brother, had him on as a guest when he hosted Huffpost Live. Hill also invited White to be a guest on a BET special he did on race in America. Soon came the MTV deals as White became a part of the network’s “Look Different” team promoting Jose Antonio Vargas’s documentary, White People, a film that covers how white people feel about their white identity. It was such popularity that led to other Black entities using him to bolster their brands. White has garnered a following of over 242,000 Instagram followers and over 72,000 Twitter followers. A basic tweet of his that writes “Be you. Be great” has over 6,000 retweets alone. Such visibility was probably at play behind a predominately Black Ivy League journal allowing him to further culturally appropriate to begin with. Tragically, Black men primarily invited Sam Whiteout to the cookout for fun and games — now they have inflated his ego to the point that he thinks he has a say in how things run. Hopefully, this will make them re-think if it is all worth it for the culture in the end.